Bio-Polymer Trench Dimensions: Two trenches totaling 1,135 linear feet. Each trench was 27 feet deep x 2 feet wide. 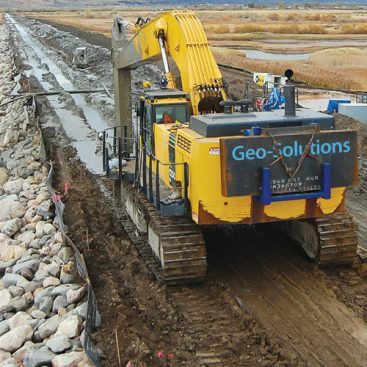 Geo-Solutions installed two bio-polymer trenches for collecting and treating groundwater around a landfill. There were numerous sources of leachate around the landfill that were creating locations of contaminated water. 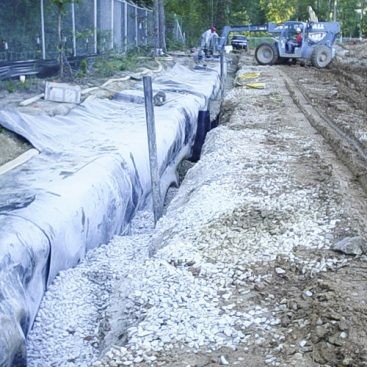 The bio-polymer trenches were installed to collect this groundwater so that it can be pumped out and treated. For the construction effort Geo-Solutions teamed with Thomas Construction. 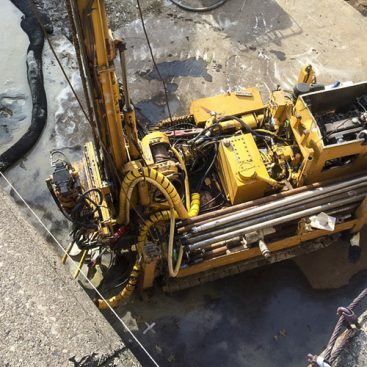 Geo-Solutions provided a skilled slurry trenching supervisor for technical assistance on the execution of the project, bio-polymer mixing equipment, bio-polymer mixing materials, onsite QC, and a long reach excavator capable of digging to a depth of 30 feet. 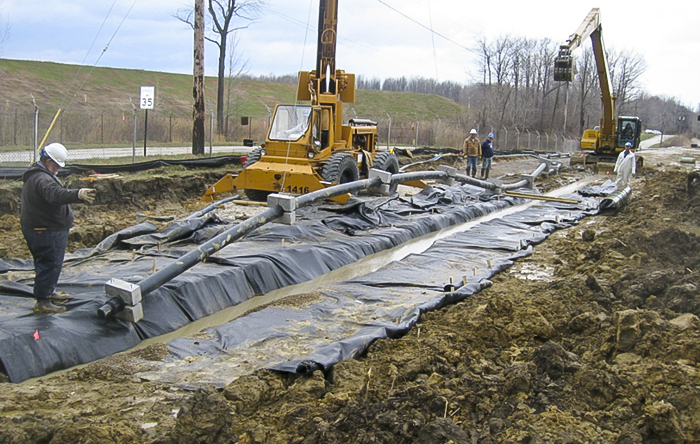 The slurry trenching supervisor supervised the operation of key equipment and insured that the materials for the Bio-polymer trench were being mixed correctly. Onsite QC was provided to ensure that the project was being executed within the specifications and to inform the client on the progress of the job. 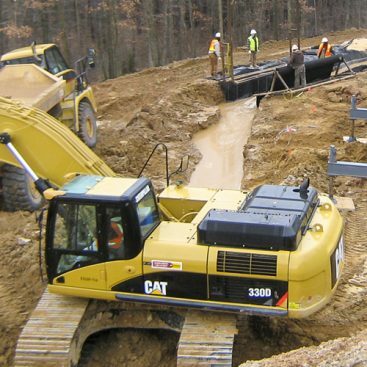 The project was completed on time and without accidents.